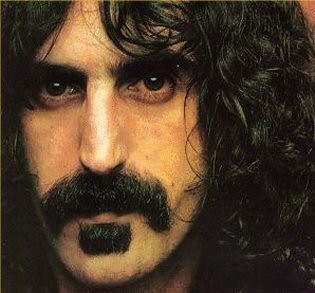 was born Frank Vincent Zappa in Baltimore, Maryland and began to play drums at the age of 12. He first played in R & B groups by high school, and then switched to guitar at 18. After narrowly graduating from high school, and then dropping out of Junior College, Zappa worked as a window dresser, copywriter, and door-to-door salesperson. With the money he earned from scoring Run Home Slow (1965), a film written by his high school English teacher, Zappa purchased a recording studio. ZappaÕs diverse range of albums Ñ with The Mothers Of Invention, as well as his solo releases Ñ are renowned not only for their bravura musicianship and satire, but also for offending various demographic populations. Zappa was a workaholic, a perfectionist rock star who eschewed the hippie culture of the 1960s, deploring its conformism, spurious ideals, and drug use. He was a legendary rock guitarist, but an orchestral composer, filmmaker, music producer, businessperson, and iconoclast. His oeuvre includes over 60 albums of music from rock to orchestral, in addition to innumerable films, and concerts.